Fall is here, and winter is right around the corner, which means that you should take some time to complete all of your regular fall maintenance tasks. Thankfully, Clean Sweep Maryland is here to help! Fall is a great time to check your slate roofing for any issues since it’s months before the weight of snow will be pressing down upon it. Broken or missing shingles can lead to major problems and structural damage over the course of the winter. 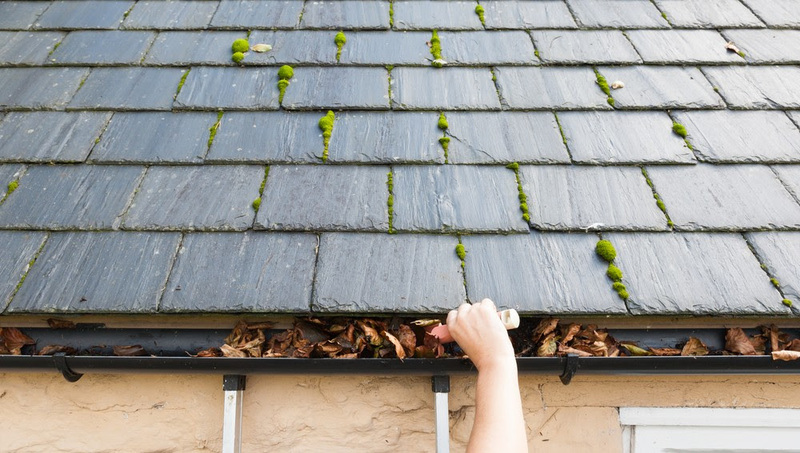 Your slate roof should also be checked for gaps in the flashing around your skylights, chimney and roof vents. A professional inspection can identify problems before the freeze-thaw cycle makes them even worse. When was the last time your dryer vents and air ducts were cleaned? Lint and debris accumulated in the ducts can ignite and cause a devastating house fire. Even if you completely empty the lint tray in the dryer, lint will accumulate in the surrounding ducts. Duct cleaning can also clean the HVAC ducts that pump heat into your home throughout the winter. A professional cleaning will remove dust, debris, lint and household allergens that could cause discomfort all winter long. If you haven’t had your chimney inspection completed yet, you need to before you fire up your fireplace for the first time. From removing dangerous creosote to identifying potential structural issues, our chimney sweeps can take care of getting your chimney up to snuff before you enjoy a winter filled with cozy fires. When it comes to keeping your home and family safe, you should never settle for less. Call Clean Sweep Maryland today at 410-558-1111 for professional chimney sweep, dryer vent cleaning and gutter cleaning services designed to keep your home in wonderful condition and your family safe. When Is It Time for an Air Duct Cleaning?